It’s safe to say that I liked this book, but for some reason I wasn’t quite smitten with this story as I should have been. 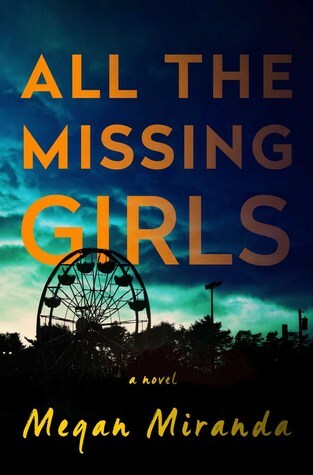 ‘All the Missing Girls’ is told from the perspective of Nic Farrell. At 18, Nic’s best friend Corinne disappeared from their North Carolina hometown of Cooley Ridge. Everyone was a suspect, including her then-boyfriend Tyler, but Nic takes a chance anyway and leaves Cooley Ridge behind. Ten years later, she returns to town to tie up loose ends and deal with her ailing father. Nic then finds herself caught up in the disappearance of another local girl, her neighbor, Annalise Carter. Annalise, it turns out, has a connection to the events of 10 years ago and the mystery of Corinne deepens for Nic and the characters around her. Once the scene is set, the story is told in reverse order, a Memento style narrative that starts from a 15 day period 10 years ago and progresses backward. While I didn’t mind the unique way that the story was set, for some reason, I didn’t feel invested in the characters here. I liked Nic and I kinda liked the other characters, but I didn’t feel a pressing need to know what had happened or why. Perhaps I’m picky when it comes to thrillers, preferring a certain tried and true formula…or perhaps I’m a little leery at this point of suspense books with “Girls” in the title, I’m not sure. I recommend this book, however. It’s a great adult thriller. In a lot of ways, this novel does deliver on that promise. Amelia Gannon’s (called Gannon by her friends) home life is not a happy one. Five years ago, her parents adopted three boys from Guatemala whose chaotic behavior overwhelms her parents to the point where they have no energy left to give her. Other than her job at a local hardware shop, cutting herself with a razor is the only relief for her anguish. She eventually meets Michael (called Brooks by his friends) and they immediately begin an obsessive, dangerous relationship. When Brooks first appears you immediately know he’s bad news: he’s a drug user, paranoid, controlling, and equally damaged, selfishly demanding all of Gannon’s heart and soul. This book was not an enjoyable read. Both of these people were so toxic by themselves, together the ol’ proverbial ‘train wreck’ metaphor didn’t do them enough justice. I read this book in about 4 sittings, and honestly I believe that was way too many. 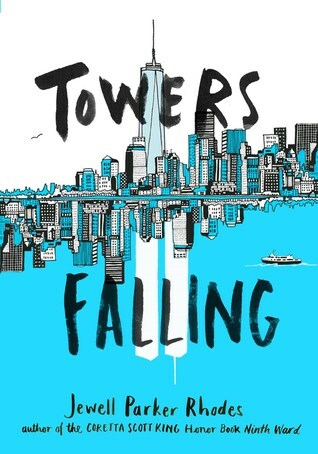 I didn’t want to finish this book but found myself so emotionally invested in the characters that I wanted to find out what happens, just to see how far down the rabbit hole they would go. The ending of this book felt rushed. There’s an interesting story unfolding, and suddenly everything explodes and subsides within three pages. Big let down. Big big let down. This book begins with the tagline above. 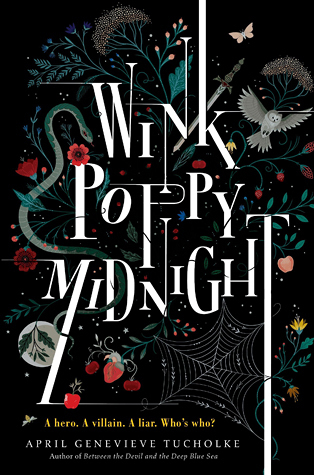 There are three main characters–Wink, a wild child with tea-leaf reading mother and siblings she calls “Orphans,” Midnight, a beautifully misguided boy-child who’s mourning the loss of his absent mother, and Poppy, a spoiled, rich brat of a girl who gets anything she wants. To tell you anything about how or why these three become connected is to give away what little plot this book does have. The problem with this book is that we already know that people are villains, people are heroes, and people are liars. The characters are thin, and the main point of this story seems to be the all-too-common theme that people aren’t what they seem. The author goes straight into the narrative of the three characters right away, with short chapters narrated by each. About 70% of the way in you find out that there is some kind of conflict here, but you never had enough time in the beginning to figure out what the truth was anyway. When the so-called ‘twists’ are revealed in the end you could care less because you had nothing to work with in the first place. And let’s talk about the writing here. It’s reminiscent of a style that you find in the fantasy genre, with images of cobblestone walks, twisting forest paths, the scent of jasmine, etc. But at about 25% in, the author’s schtick becomes repetition, repetition, and more repetition. Usually in groups of three. It’s awful. I wish I was making this up. In response I’m closing, closing, closing this book forever. Thankfully this is a quick read. About the only good thing I can say is that it’s got a swell cover. To read this book is to step into a E.T. movie freaked, Day-Glo’d, Swatch watch filled, Phil Collins and Tiffany mall rat music crazed past. I’ve been all about getting this book for the past few weeks, because any book that takes place in the 80’s is truly a book after my own heart. From the first page, I must say that Grady Hendrix completely nails the setting of this story. Going to the roller rink, watching The Equalizer on TV, the ever-present “satanic panic,” crimped hair…lemme tell ya’ll, there was so much of myself in this book that it was hard to control myself from shedding nostalgic tears. Partly because the 80’s were my childhood and one of the definitive times in my life when I was truly happy. The other part is because I saw so much of myself in the lives of the two main characters. 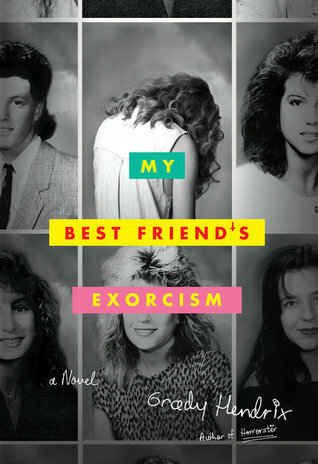 Now this book doesn’t stray too far from tried and true cliches of any exorcist-themed horror story–there’s projectile vomiting, dead birds crashing into windows, bloody maxi pads, and demons that supposedly speak in German. Some scenes were genuinely scary and others were just plain gross. I won’t give away all the specifics, but this book does mess with your head a lot. Is Gretchen truly possessed by the devil? Although you’re led to believe that something sinister is definitely happening, the inclusion of such cliches makes you wonder. There’s a kind of magical realism at work as Hendrix writes about these things as if he’s serious, but all throughout reading you have to stifle your laughs. There’s an undertone of humor here that can’t be ignored and made all of the cheesiness (at least for me) forgivable. Besides, it was less about the horror element for me and more about the power of female friendship, which kept me reading and shone through everything else. I never stopped feeling for Abby or Gretchen and what brought them together in the first place. 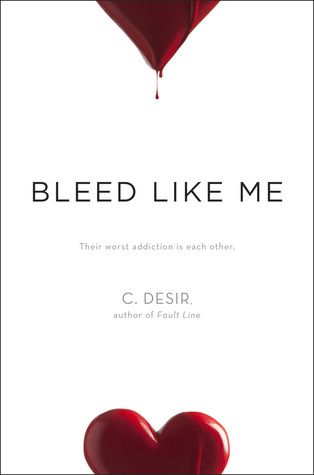 As I’ve said before, there is so much of myself in this book: finding a best friend, experiencing the time of your life with your best friend, going through the depths of hell and back with your best friend. That’s what it was all about. I think this book is best enjoyed by those who promise themselves before reading it not take it that seriously. With chapters named after popular 80’s songs (“We Got the Beat,” “I Would Die 4 U,” “Total Eclipse of the Heart,” and “867-5309/Jenny”) you can’t, because you’re caught in an 80’s time capsule and don’t want to be let out. Rock on. And gag me with a spoon. 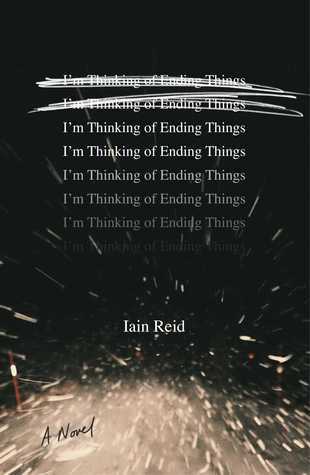 What this is: a narrow, ridiculously unclever book told from the perspectives of four students in an Alabama high school surrounding the events of a 50-minute shooting spree/hostage situation. Several students, teachers, and the principal are gunned down after the student shooter traps the unsuspecting student body in the auditorium during an assembly and kills some and terrorizes others for nearly an hour. The characters are bland and indistinguishable from the other, and the shooter is so cartoonish in his evilness it’s laughable. It’s literally just bang bang bang…then one of the characters presents us with a flashback. 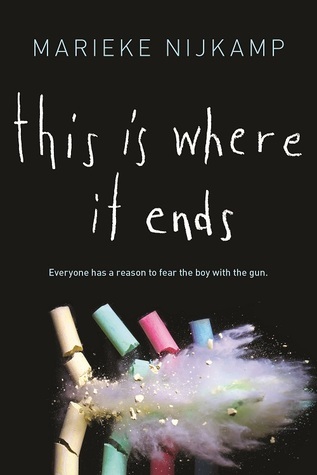 You get to the end and find out that he shoots and kills his classmates not because he was bullied or had a mental problem or he was angry but because well…he wanted to. Maybe it was the violence at the LGBTQ club in Orlando the night before that caused this book to strike such a sour note for me. I am not saying that mass shooters aren’t evil, but the acts they commit cannot afford to be reduced to such simplicities. I don’t shun violence in literature, but it pays to give those who perpetrate it depth, specifically if you would like to understand why it occurred in that particular context in the first place. I recommend Jennifer Brown’s “Hate List,” Jim Shepard’s “Project X,” and Shaun David Hutchinson’s “Violent Ends” if you’d like more fleshed out, realistic, and thoughtful discussions of school violence in YA literature.